The Apple media event today showed quite few new things that included the release of new OS for the iPhone, iPod touch and iPad i.e. the Apple iOS 4.1, and then the new iPod devices where all the different iPod models got a redesign, and then the Apple TV 2g which got smaller and cheaper, and the iTunes 10. But things didn’t end with just the new releases, and Steve Jobs, the CEO, always keeps people wondering about the forthcoming products and releases. So he showed the sneak peek of the next release of the iOS which would happen at around November 2010, and that would be the iOS 4.2. The iOS 4.2 would be all about the iPad. The update would majorly concentrate on bringing things to the iPad that were on the iPhone and the iPod touch. The major thing you would see is the multitasking, the game center which has just launched in 4.1 for the iPod touch and iPhone, the HDR photos etc. 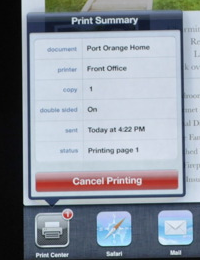 Apple would be then launching the wireless printing feature for the iPad, which would feature the printing of any page or document directly from the iPad without connecting it with wires. It would be done through the PrintCenter feature in the iPad. Another change would be about the AirTunes, which is app for the streaming of music. 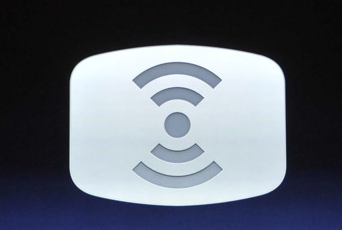 Its now renamed to AirPlay which would be streaming every media type, that includes audio, video and the photos over Wi-Fi. The iOS 4.2 would be coming out in November and it would be a free update through the iTunes for the iPad, iPhone and the iPod touch. But as Steve Jobs said, its mostly the iPad which you would see the changes in.